Whether you own a home in Heber Springs, AR or are in charge of managing a large commercial building, it’s essential that you maintain a comfortable indoor environment throughout the year. That’s where Haller Heating and Air Conditioning, LLC comes in. As an established HVAC company, Haller Heating and Air Conditioning, LLC offers a variety of services to suit your needs. Haller Heating and Air Conditioning, LLC is Heber Springs, AR's one-stop source for HVAC services. 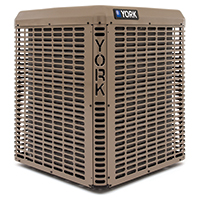 Whether you need your system installed, maintained, or repaired, Haller Heating and Air Conditioning, LLC has affordable pricing and expert knowledge. Haller Heating and Air Conditioning, LLC is up-to-date on the most energy-efficient HVAC solutions on the market, and when you call, you'll get quality workmanship that doesn't cut corners. Best of all, Haller Heating and Air Conditioning, LLC believes that no job is too large or too small. Haller Heating and Air Conditioning, LLC will give you complete attention regardless of the scope of your project. To learn more about HVAC services or to schedule an estimate at your home or place of business, call Haller Heating and Air Conditioning, LLC today. Why Choose Haller Heating and Air Conditioning, LLC?